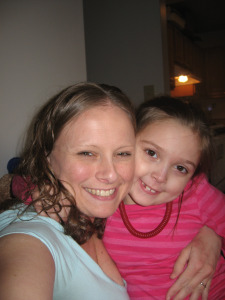 Isabella’s brain injury journey began over three years ago. I have learned that recovering from a brain injury is not the steady climb forward as often found with other illness or injury. This journey is a series of really high highs and really low lows. In our experience it is filled with one step forward and three steps back. Regression is the hardest part. Regression often times has a trigger. That trigger could be a sudden change in care, medication side effects or an additional stressor such as work or school. Regression with a known trigger is stressful enough but regression without a known trigger is terrifying. Isabella has been regressing for quite some time. Initially, the regression was triggered by the start of public school. Isabella has since begun home school; however, she never recovered from that initial set back. Our silver lining is how well Isabella has done academically since the start of home school. That said, every single part of Isabella is starting to be affected by this regression; physically, emotionally, behaviorally, cognitively, psychiatrically, etc. Isabella’s migraines and headaches have dramatically increased to every single day. Her tics and anxiety have also increased significantly. The regression continues. It really accelerated once HyperBaric Oxygen Treatment stopped. HyperBaric Oxygen Treatment is the medical use of oxygen in a pressurized chamber. I hope that someday Isabella can return to that treatment. As Isabella’s symptoms worsen and more skills are lost, further medical tests are performed. With each test result I find myself in a catch 22. I don’t want a test to reveal anything new is wrong and yet not having answers on how to stop this regression is terrifying. I think about the parents I know whose child with a brain injury regressed (due to varying reasons) and their child still hasn’t regained what they lost. My biggest fear is losing the Isabella that I do have. I have recently started taking some video of Isabella laughing and talking just so I have it. It is devastating to think that without answers anything is possible, will she continue to regress and eventually stop talking or laughing? Will she lose her physical ability to walk? Will she….? At this point, I have more questions than I do answers. The other day, Isabella fell asleep in the car right before we got home. I decided to sit in the car and let her sleep for a bit. As I sat there watching Isabella sleep so peacefully, I just started crying. I am not a crier and yet here I was crying my eyes out. As a parent to a child with a brain injury, this journey has been one of the most rewarding yet most devastating experiences I have ever had. It is heart breaking and gut wrenching watching your child make progress only to regress without reason. Isabella has worked so hard to get where she is and to watch that slip away is devastating. I am her Mommy. I am supposed to be able to make it better and I can’t. As I wait for an MRI, I pray not for a specific outcome but instead I pray that somehow some way things work out so that we can best help Isabella. In the meantime, I continue to cherish every laugh and every smile. When I see glimpses of my Isabella, she reminds me that she is in there and she is fighting like hell to get out. That helps me fight like hell for her. This entry was posted in Advocacy, Caregiver & Family Member Support, Education, Mommy of a Miracle, Survivor Story and tagged #Mommyofamiracle, BIA-MA, brain injury association of massachusetts, caregiver tips, survivor on May 12, 2014 by Brain Injury Association of Massachusetts. I think that the real key here is hyperbaric oxygen therapy treatment. Why oh why isn’t it used and researched continuously for brain injury? My son suffered an anoxic brain injury (4 years ago today) we have managed to get 40 HBOT treatments for him but he needs so much more. I pray for all of us on this incredible journey. Best wishes for you and Isabella. Thank you Jamie. I completely agree with HBOT. Amazing treatment that in my opinion should be available to all survivors. Best wishes to you and your son as well. I am sad to say that I know exactly what you are saying- but you are not alone. I cry too when I watch Miss C sleep or watch old videos. Glimpses, like a moment in tine let you know They are in there & I want her back. I miss who C was pre- encephalitis, her smile, her laugh, her colouring in- it just hurts so much.